Another book off the TBR shelf completed! Finally, this was one of the books I'd been meaning to read since forever. When I posted my original list for the 2013 TBR Pile Challenge (hosted by Adam at Roof Beam Reader) this was the book that by far had the most positive comments. And yet, I waited almost a year to start it. But back to Wild Swans. I've been on a read nonfiction kick this year; almost 25 percent of the books I've read have been nonfiction, and I hope to read even more in 2014. 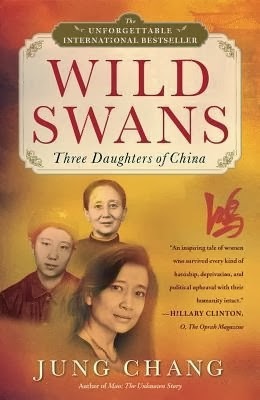 This is the story of three generations of Chinese women in the 20th century: Jung Chang's mother, who became the concubine of a warlord; her daughter, who embraced the communist cause after World War II; and finally, Jung Chang herself, a child of communism who survived the Cultural Revolution and became one of the first people to study abroad in the 1970s after Mao's death. This book was both depressing and uplifting. It's a somewhat long book, more than 500 pages, but it took me longer than usual because the writing is pretty dense and I was mostly able to read it in small chunks due to work. However, this was probably for the best, because parts of this book were difficult to take. I didn't know that much about what life was really like in communist China from the 1950s through the 1970s. Basically, it sucked. If you've read 1984 by George Orwell (which I haven't read since high school), it was pretty much like that, but set in China, and affecting nearly a billion people. Spying, lies, backstabbing, doublespeak, paranoia -- with a backdrop of the cult of Mao. Seriously, it sounds exactly like a cult. The author admits it herself. After WWII, when the Japanese left after invading Manchuria, the Kuomintang and Communists fought over control, and the Communists won out. Mao took power, anyone remotely associated with the Kuomintang would be under suspicion for life (and often, the entire family was tainted by association); and things go from bad to worse with famine and the Cultural Revolution. Remember that saying about how you should finish everything on your plate because there are children starving in China? Well, know I understand why. This book is really insightful about the history of China in the 20th century, the mentality of the Chinese people and how they wind up with Communism -- and how it's not what they were hoping for at all. Parts of this book deal with really terrible things, but the story is so fascinating I had to keep reading to find out what happened next. (Spoiler alert -- Jung leaves and writes a best-selling memoir!). It sounds so awful, but there are good things too. Despite all the hardships, Chang's family is very close and ultimately supportive of one another, and there are a lot of random people that end up doing really good and kind things. Chang's story ends in the late 1970s when she moves to Britain to study English and she still lives there, but I'd really liked to know more details about her life since. (I think it's in the introduction to the 2003 book, but I may have to take a little break before reading it.) Chang has just published a biography of The Empress Dowager Cixi and now I really want to read that too. When the Classics Spin randomly selected my next classic read, Orley Farm, I was both delighted and (slightly) dismayed. Delighted, because I'm always looking for an excuse to read Trollope, and this one has been on the to-read shelf for several years, ever since I went on a Trollope-buying binge after falling in love with The Way We Live Now. However, I was slightly dismayed by the fact that it is 825 pages long. 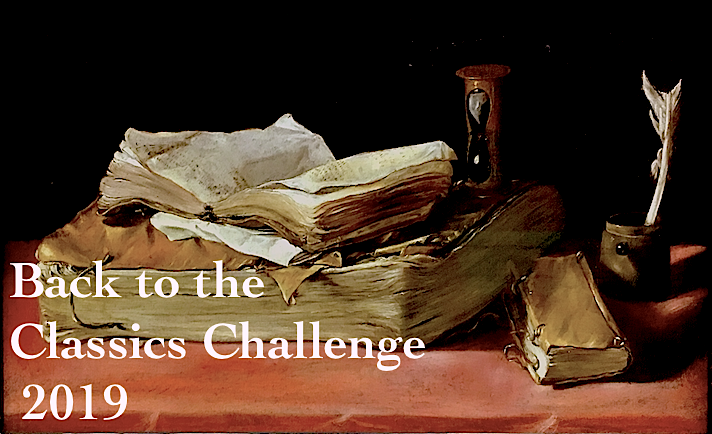 Now, compared to many Victorian writers (ahem, Dickens!) Trollope is actually a pretty easy read, though he does sometimes digress and get a little preachy in his asides to the reader. This book selection was also complicated by the fact that in September I recently read a couple of other doorstoppers, started a new job and attended the 2013 Annual General Meeting of the Jane Austen Society of North America. I have no one to blame but myself for the tardiness of this posting it's been nearly two weeks since I was supposed to have written about my Spin selection. A wealthy man, Sir Joseph Mason, a widower with grown children, remarries a much younger woman in his dotage. His country estate in Yorkshire is already settled on the oldest son, John Mason, but his new wife gives birth to a boy, Lucius. While Lucius is still a wee thing, his father dies, and it is revealed that at the last minute, Mason added a codicil to his will, leaving a smaller property near London, the eponymous Orley Farm, to his infant son. There are questions about the legality of the codicil, the veracity of the signature, and about the witnesses, one of whom is Marian Usbech, daughter of Mason's lawyer, who is also left a legacy of two thousand pounds. Mr. Mason, the heir, fights his stepmother in court, and loses. Twenty years later, young Lucius Mason comes of age and now has the rights to his farm. Part of the farm has been rented out to a Mr. Samuel Dockwrath, a lawyer who married Marian Usbech, with whom he now has a passel of children. The lease is up and Lucius decides to try his hand at farming, thus denying Dockwrath the renewal of said lease. Dockwrath decides to get revenge on Lucius by stirring up trouble -- he claims to have new evidence which implicates Lady Mason of forgery. He trots off to Yorkshire to Lord Mason, who's still holding a grudge, offering his services so both of them can give that upstart what-for. Mason and Dockwrath are equally unpleasant characters, and they join forces. I was confused as to how they could charge Lady Mason for the same crime twice, i.e., double jeopardy, but in fact, they decide to charge her with perjuring herself at the previous trial. So, the case is trotted out again, causing great pain and suffering for the Masons. However, this wouldn't be a Trollope novel without some star-crossed lovers. In fact, there are whole bunch of marriage proposals, some between the main characters, and some peripheral. The Masons are friendly with their neighbors, Sir Peregrine Orme, his widowed daughter-in-law, and grandson Peregrine, Lucius' former schoolmate; also, the young men spend the holidays at the estate of Judge Staveley with a bunch of other young people, and various love triangles ensue. There are also some proposals and love triangles among the older generation as well, which was rather refreshing -- it's not just those young whippersnappers who fall in love in a Trollope novel. The intertwining stories of the trial and the love affairs are mostly strung along until the end of the 825 pages, though there are some big reveals relatively early in the book. I have to admit that some parts of this book dragged for me. As in The Last Chronicle of Barset, Trollope spends quite a few chapters with people agonizing -- is X guilty or isn't he? Should X reveal this big secret to Y? More than once, parts began to feel like filler. I love Trollope, but there were a couple of chapters that I ended up skimming. Overall, though, I really did enjoy this book. The characters are mostly well-developed, the bad guys are deliciously evil, and we have the requisite comic side characters. Love stories are resolved, some happily and some not so happily, which I find realistic and satisfying. I also enjoyed most of the legal aspects of the novel, and Trollope gets in some good shots about the class system and people marrying up. 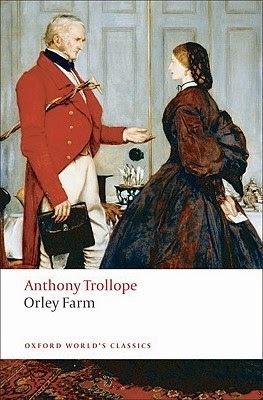 Among Trollope novels, I doubt that Orley Farm will ever be as popular as Barchester Towers or The Way We Live Now, my two favorites. But it was an excellent read, and I only wish I'd had more time to finish it sooner. It's definitely on my list of top reads for 2013.